"Where the Old Masters created an illusion of space into which one could imagine walking, the illusion created by a Modernist is one into which one can look, can travel through, only with the eye." 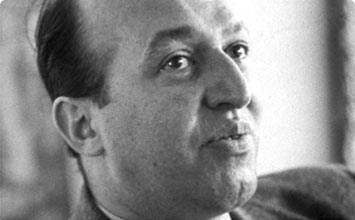 Clement Greenberg was probably the single most influential art critic in the 20th century. Although he is most closely associated with his support for Abstract Expressionism, and in particular Jackson Pollock, his views closely shaped the work of many other artists, including Helen Frankenthaler, Morris Louis, and Kenneth Noland. His attention to the formal properties of art - color, line, space and so forth - his rigorous approach to criticism, and his understanding of the development of modern art - although they have all been challenged - have influenced generations of critics and historians. 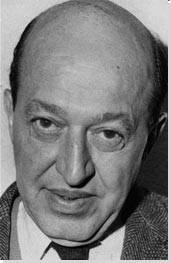 Clement Greenberg introduced a wealth of ideas into discussion of 20th-century art, elaborating and refining notions such as "kitsch," the "easel picture," and pictorial "flatness," and inventing concepts such as that of the "allover" paint surface and "optical space." Strongly associated with his support for Abstract Expressionism, Greenberg fervently believed in the necessity of abstract art as a means to resist the intrusion of politics and commerce into art. Although he championed what is often regarded as avant-garde art, Greenberg saw modern art as an unfolding tradition, and by the end of his career he found himself attacking what many others saw as avant-garde art - Pop and Neo-Dada - against the values he held dear in earlier modern art. Greenberg was born in the Bronx, the eldest of four children. His parents were first-generation Jewish Lithuanian immigrants who lived briefly in Norfolk, Virginia, but kept New York City their permanent home.